Camfrog Video chat is an online messaging application utilizing high video quality streaming technology. It enables users make new friends and get connected via video chats by use of a webcam. With Camfrog's 6,000 plus live webcam chat rooms, users can have one-on-one chats or group conversations in chat rooms. Users on Camfrog are allowed to host a video conference involving multiple users, letting them control whom they want to join including the subject matter. The user interface Camfrog uses is quite appealing, with all the usual standard IM features for easy navigation. Individuals willing to chat on Camfrog need not necessarily have a webcam to converse or see others, but one will need one if they wish to be seen. 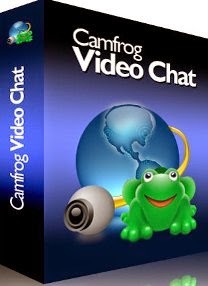 Camfrog Video chat app is accessible on both Mac OS X and Windows platforms giving users more options. For fast and best video streaming quality, either cable broadband or DSL internet plans are recommended. To ensure its connections are secure, Camfrog utilizes firewalls wireless connections and routers. Camfrog only offers its users just a chat room nothing more. Different from other popular video IM apps like Paltalk, Camfrog doesn't feature VoIP or video voice mail. However, users can schedule when to chat, send text with video, and utilize the IM catcher to block chats from anonymous users including the capability to open practically unlimited windows which is unique with Camfrog.